Images of news media covering various political events, TV and radio new reporters interviewing people, national TV network, local news reporters as well as independent and alternative media journalists. Includes images of TV cameras and operators, still photographers and behind the scenes shots of a TV network news set. 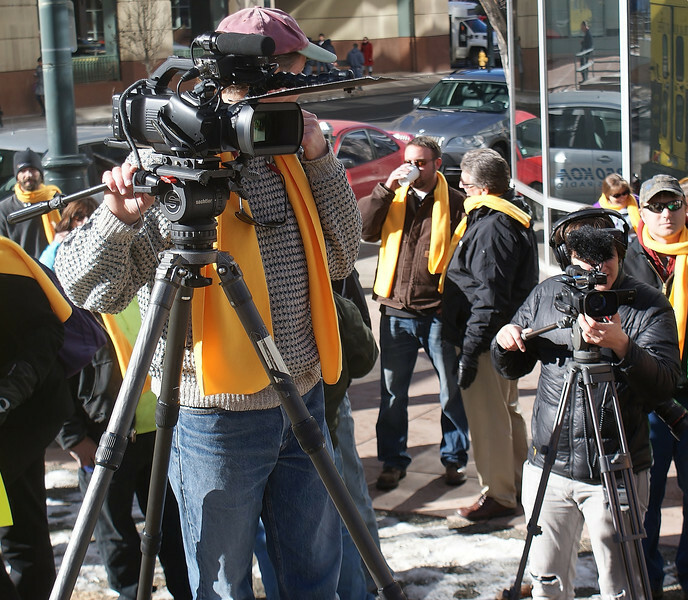 News media covers a demstration supporting rooftop solar energy, in Denver.